During our summer road trip last year, we came across a stand of trees bearing fruit that appeared to resemble green tennis balls. They were new to us... we took a photo and carried on. Google is amazing. 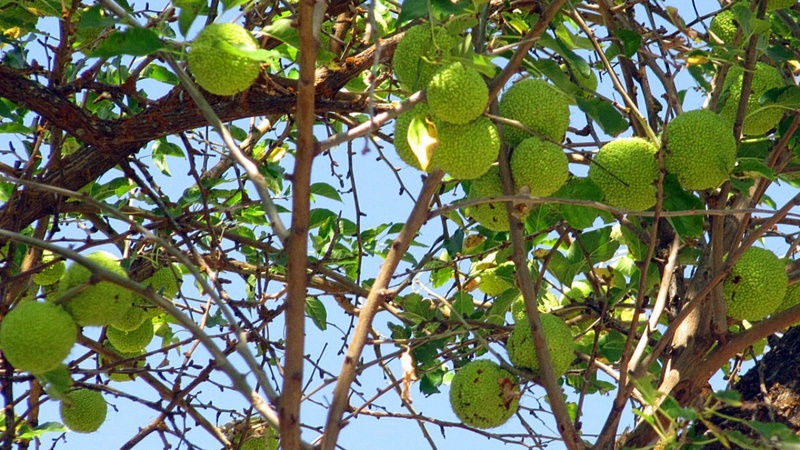 When we got back home, I wanted to discover the name of this tree/fruit. I wasn't sure what to type in Google when a friend suggested simply "tennis ball fruit". Damn if it didn't work. It turns out that these are osage orange trees. So there is your botany lesson for the weekend.